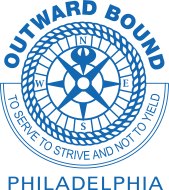 Outward Bound is a non-profit organization that delivers programs in the wilderness, urban settings, and classrooms, designed to teach interpersonal and community leadership skills through Outward Bound's Educational Framework. Outcomes of all Programs include character development, leadership and community service. Outward Bound delivers our world renowned experiential learning programs to people of all ages and all walks of life. We help our students to discover that ‘there is more in them then they thought’mto discover a strength of character, ability to lead and desire to serve to have a positive impact on their lives and the lives of those around them. We employ a diverse and compassionate staff of highly trained, skilled and dedicated instructors, facilitators and educators through a national network of regional Schools. We partner with educational institutions, businesses, civic organizations and parents to serve all who wish to participate. We seek innovative ways to apply our Educational Framework to address emerging social needs. Outward Bound has used challenge and discovery to change lives and prepare people to be capable, compassionate and engaged leaders since our founding in the U.S. in 1962.